Located on the eastern coast of Belize City, the neighborhood of Yarborough is one of the most strategically important neighborhoods in the city. Yarborough serves as the vital link between the historical downtown areas and an emerging business hub, while also serving as the main corridor between the Sea Port and Downtown Belize. There are numerous assets in this area, including undervalued and underutilized water assets, emblematic historic structures and waterfront accessibility and open space. Unfortunately, Belize City has not been able to leverage these assets, and development challenges remain. Housing stock in the neighborhood is dilapidated and vulnerable to flooding. Waterfront infrastructure and public spaces also experience flooding and have been abandoned, leaving these areas vulnerable to illegal activity, deterring residents and visitors alike. As a result, all potential tourist and economic opportunities is diverted away from Yarborough to outside Belize City. Despite these physical and social obstacles, there are numerous improvement opportunities Yarborough could implement in order to better capture economic opportunity and enhance their waterfront sustainability while showcasing the distinctive Caribbean charm and beauty located throughout the Yarborough neighborhood. This CPAT project will work with local and national government officials, community groups, residents and stakeholders to better develop and promote the strong connection between the two key assets in Belize City: the cruise port and the city center. Relying on Belize City's 2012 Master Plan, the CPAT project in the Yarborough neighborhood will also focus on further developing the strategic recommendations identified in the Master Plan as well as bring international best practices that could be implemented in the near future. 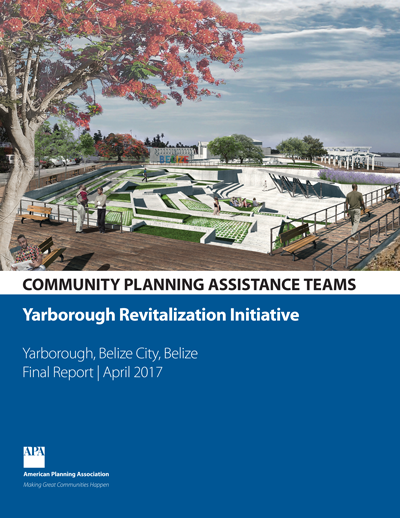 The Yarborough CPAT lays out a number of recommendations and urban design elements for the Yarborough (aka "Yabra") neighborhood in Belize City. The report identifies four planning priorities and focuses on many low-cost, community-led initiatives that can generate near-term tangible results for the community. Other recommendations center around the neighborhood's street network, utilizing vacant lots and enhancing public open spaces, and implementing coastal resiliency strategies. Team leader Justin Moore, AICP, APA Programs Manager Ryan Scherzinger, and APA consultant Jennifer Graeff, AICP, made a site visit to Belize City February 9–12, 2016. They toured the Yarborough study area as well as other parts of Belize City and met with city staff, over 200 residents, and a range of stakeholders to help refine a scope of work for the project. The full team visited Belize City, June 13–18, 2016. 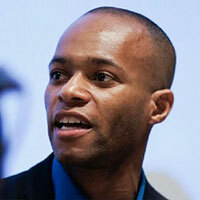 Justin Garrett Moore is an urban designer and the Executive Director of the New York City Public Design Commission. He has extensive experience in urban design and city planning — from large-scale urban systems, policies, and projects to grassroots and community-focused planning, design, and arts initiatives. At the Public Design Commission his work is focused on prioritizing the quality and excellence of the public realm, and fostering accessibility, diversity and inclusion in the City’s public buildings, spaces, and art. Justin is a former Senior Urban Designer for the NYC Department of City Planning where, for over a decade, he was responsible for conducting complex urban design plans and studies of the physical design and utilization of sites including infrastructure, public spaces, land use patterns and neighborhood character. His projects included the Greenpoint and Williamsburg Waterfront, Hunter’s Point South, the Coney Island Plan and the Brooklyn Cultural District. He received degrees in both architecture and urban design from Columbia University’s Graduate School of Architecture, Planning, and Preservation where he is now an Adjunct Associate Professor of Architecture in the urban design and urban planning programs. He is the co-founder of Urban Patch, a social enterprise based in Indianapolis that focuses on community revitalization and design in American inner cities. His professional affiliations include the American Institute of Certified Planners, the Urban Design Forum, and Next City’s Vanguard. He also serves as a board member for ioby.org, Mary Miss — City as Living Laboratory, and Made in Brownsville. 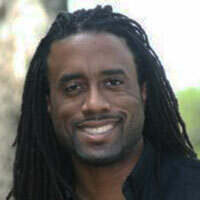 Antoine Bryant is principal of the Bryant Design Group, LLC, a commissioner on the City of Houston Planning Commission, and member of the Diversity and Inclusion Committee for the American Institute of Architects. Bryant is a highly skilled and accomplished designer and community developer who’s led and directed the physical and social development of communities across the country. Much of his career has focused on engagement with underserved communities. He’s managed the construction and rehabilitation of projects ranging in costs from $20,000 to over $6 million, and managed affordable housing and multi-family properties throughout the country. Veronica Davis is a transportation nerd who uses her knowledge to spark progressive social change in the community. Currently, she is a co-owner and Principal Planning Manager at Nspiregreen LLC. 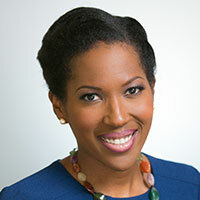 In July 2012, the White House recognized her as a Champion of Change and Transportation Innovator for her professional accomplishments and community advocacy in the District of Columbia. Veronica is one of the co-founders of Black Women Bike (BWB), an organization and movement that encourages African American women to use biking for health and wellness as well as an alternative form of transportation for commuting. She holds a dual Masters Degrees (Engineering Management and Regional Planning) from Cornell University and a B.S in civil engineering from the University of Maryland. She is a registered professional engineer in the District of Columbia, Maryland, Virginia, North Carolina and Georgia. 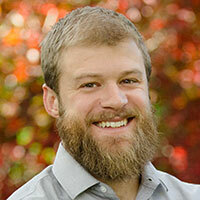 Adam Perkins is the Urban Planning Manager for the Downtown Denver Partnership where his focus is on place-based economic development through improving the public realm. He manages all planning efforts for the Downtown Business Improvement District involving the 16th Street Pedestrian Mall, the public realm and outdoor spaces, transportation corridors, core neighborhoods, and the downtown area. He coordinates the Partnership’s and BID’s efforts in developing policy guidance and recommendations to improve the downtown environment. He also leads the development review process of streetscape and public realm improvements within downtown Denver ensuring consistent and high quality design of the downtown built environment. Prior to working for the Downtown Denver Partnership and the Downtown Business Improvement District, Adam worked for Denver Public works where he coordinated private and public infrastructure and design projects in the public right-of-way. He is also the founder of Local Innovations a community development firm that provides services to struggling communities in Colorado to help them overcome imminent challenges. Perkins also currently serves as the Chair of APA’s Housing and Community Development Division. 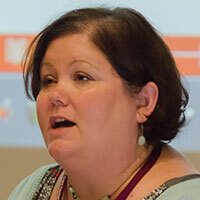 Dr. Shannon Van Zandt is an Associate Professor of Landscape Architecture & Urban Planning at Texas A&M University, where she directs the professional program in urban planning, directs the Center for Housing & Urban Development, and is a Fellow in the Hazard Reduction & Recovery Center. Starting in 2008, Dr. Van Zandt led a multi-year study of community recovery in Galveston, Texas after Hurricane Ike, funded by the National Science Foundation. She has expertise in coastal resilience, social vulnerability to disasters, and low-income housing. She is co-author of the 2014 book, Planning for Community Resilience: A Handbook for Reducing Vulnerability to Disasters, from Island Press.